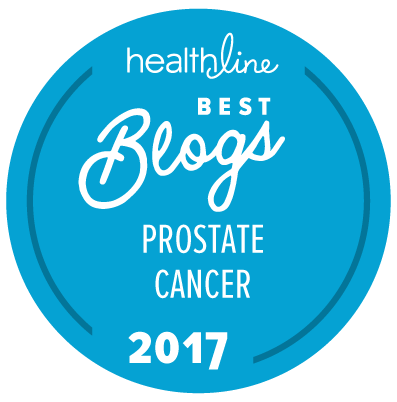 We have previously had no really accurate data on a very important question: Does local treatment of men initially diagnosed with advanced prostate cancer impact their long-term survival and mortality rates? A new paper by Dall’Era et al. in the journal Cancer has now provided an initial answer to this important question. The authors used data from a large study coordinated by the Centers for Disease Control and Prevention (CDC) and known as the CDC Breast and Prostate Cancer Data Quality and Patterns of Care Study. From the data collected in this study, Dall’Era et al. extracted data on the men who had been diagnosed with either locally advanced, non-metastatic prostate cancer (i.e., clinical stage cT3-4 or N+ and Mo) or metastatic prostate cancer (M1). They then assessed the 9-year overall and prostate cancer-specific and overall survival data for these patients. Conservative treatment alone was associated with a far higher risk for prostate cancer-specific mortality compared with initial surgical treatment (hazard ratio [HR] = 4.18). Aggressive local therapy in the setting of metastatic disease needs to be studied carefully before clinical adoption. The question as to the role of “surgical debulking” of the prostate along with radiation therapy and ADT (with or without chemotherapy or other forms of therapy) for specific individuals, however, may not be answerable by a study like this. Just as we are aware that newly diagnosed men with “extensive” metastases responded better to ADT + docetaxel chemotherapy than they did to ADT alone in the CHAARTED trial, the reverse may also be true. It is possible that men with very small amounts of metastatic disease may well respond better to aggressive therapy + ADT than men with extensive metastases. To some extent, this has already been suggested by these data from the STAMPEDE trial, in which men with locally advanced or metastatic prostate cancer were randomized to treatment with either extensive radiation therapy when appropriate followed by ADT + docetaxel chemotherapy or simply to treatment with standard ADT alone. Our general suspicion is that each case will need to be individually evaluated, but that — in general — men with extensive metastatic disease at diagnosis will benefit little from surgical debulking of their prostate in addition to what would now be standard treatment with ADT + docetaxel chemotherapy (but, as always, there are probably going to be exceptions to every general rule). The survival advantage was only four points (27 vs 23) for all men ( locally advanced and metastatic) who had debulking but what was the 9 year prostate specific survival % for men with locally advanced (pt3b) after RP, SRT and ADT? I don’t know. I can only see the abstract, not the full paper. And I don’t think that 24 to 27 percent variation applied to all the patients at all. I think that only applied to the men with metastatic disease (judging by the way the abstract is written). However, I grant you that it is less than crystal clear. I am now an 18 year survivor of locally advanced Stage 3 prostate cancer, apparently cured. I finally had my prostate “debulked” by IMRT in 2013, supported by triple ADT (my fourth round of IADT3). I suspect that in the US the majority of these patients on ADT were on single agent ADT, either an LHRH-agonist drug or surgical castration, and that this kind of ADT is responsible for the lack of an enhanced response for debulking. While conclusive proof of the superiority of combined ADT is not available, as often noted by Sitemaster, some of us in the medical and survivor communities are convinced that combined ADT is superior to single agent ADT. The reverse side of that coin is that we are convinced that single agent blockade can be grossly inadequate for some patients, such as those who produce a high level of DHT despite single agent ADT (with many patients never even being monitored for DHT). Also, there is substantial lower-grade and non-Western evidence of the efficacy of combined blockade despite the absence of conclusive proof. In Japan ADT has been an earlier and more prominent therapy choice, and a number of papers have documented results favoring combined therapy. Here are just a couple: https://www.ncbi.nlm.nih.gov/pubmed/22189220 (which is right on point) and https://www.ncbi.nlm.nih.gov/pubmed/25240024. There are Western studies that also support combined therapy. My personal view is that local surgery or radiation (or both) plus single agent ADT in the face of advanced or metastatic cancer is going to leave open a broad avenue for cancer to continue to wreak havoc, while the same local therapy plus well-executed combination therapy is likely to curtail the cancer enough to enhance survival. I am delighted I made the choices I made! In view of your comment about the use of ADT in Asia, I thought you might like to be aware of this recent article.